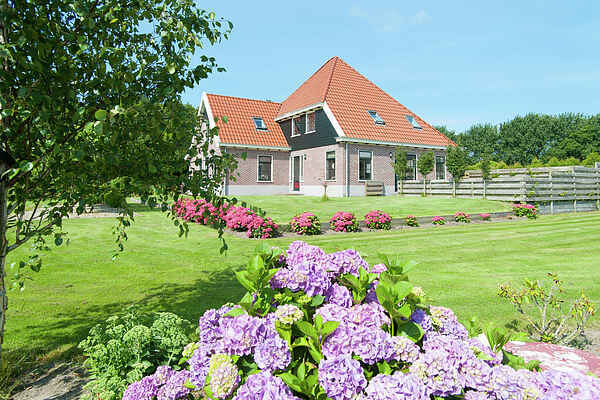 Hoeve Stolpwijk is a beautiful holiday home in Schagerbrug, ideal to spend the time with family and friends. Want to build sandcastles on one of the most beautiful beaches in the Netherlands? You can do this in Callantsoog, reachable in fifteen minutes (bicycles available). You are also nearby other beaches in Julianadorp and Bergen aan Zee. The town of Schagen: very close by. Hoeve Stolpwijk consists of a big house and a smaller house. The connecting door provides a direct attachment, making it feel like a whole. Even better: it offers advantages, since you have two living rooms. In the large kitchen you can prepare a feast for at least 15 people. In the back garden you can bubble around in the jacuzzi and subsequently get sweaty in the sauna. There is plenty to do in the tip of Noord-Holland. You can throw a frisbee or play soccer on the beach or visit the exclusive artist's village of Bergen. Plenty of towns and villages in the area! Note: pay attention if you have small children: the garden is not enclosed and borders on several ditches. Tip: the owner of Hoeve Stolpwijk will gladly take you on a boat trip through the canals of Amsterdam. Prices on request.